Speech Language and Learning is an independent private speech pathology practice, providing assessment and therapy for mainly children and adolescents. 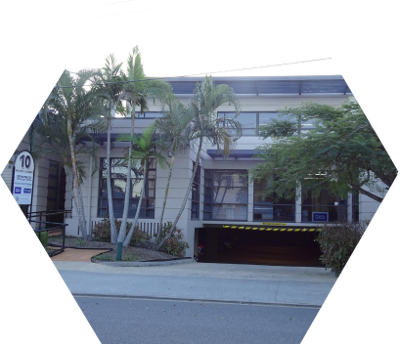 You can find us at Clayfield, in our rooms at Brandon Chambers, 2a/10 Vine Street and we also provide services at a number of Brisbane private schools (Anglican and Uniting Church) where we have been invited to consult. Clients include children and adolescents who have a wide range of speech, language, voice, social communication, behavior, literacy and learning difficulties. We also assist adults with English pronunciation improvement, language and literacy support. We have always worked within a multi-disciplinary family-based team framework and our team consultants, Sue, Angie and Sarah have worked within a range of hospital, educational and non-government organization settings in Australia and overseas to support clients, their parents/ families and other relevant team professionals. All consultants are members of Speech Pathology Australia and participate in the Professional Self-Regulation program for ongoing education and self-development. The majority of our team has worked together for a number of years and our consultants have developed extensive experience in areas of speech sound development, language disorders, speech dyspraxia/ apraxia of speech, auditory processing, hearing impairment, developmental delays, cerebral palsy and autism. Our programs are evidence based where possible and based on traditional therapy that we know, from our experience achieves progression of skills. We endeavor to keep abreast of new Australian and international programs and diagnostic assessment techniques. We have an interest in voluntary work and since 2006, Speech Language and Learning has been involved in supporting children and volunteers working in developing communities overseas, as an Australian Partner Organisation for Aus Aid in countries such as The Fiji Islands, Vanuatu, the Philippines, and Oman where Speech Pathology is relatively unknown but desperately needed. Our wider network includes extended team work with Sylvana Spina, Abilities Therapy (Occupational Therapy) and Bernadette Sharry, Psychologist, Janet Eales (Guidance and Special Education /PlayTherapist), Mancel Ellis Robinson (Psychologist), Wendy Astbury, (Paediatric Physiotherapist), Child’s Play and Santo Russo, Psychologist, The Better Life Centre. Fill out the form on our contact page to request more information about any of our services.